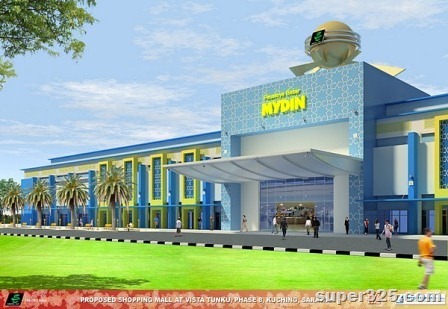 Mydin hypermarket planed to setup their country’s biggest hypermarket near Taman Mutiara Rini in Skudai in 2012. 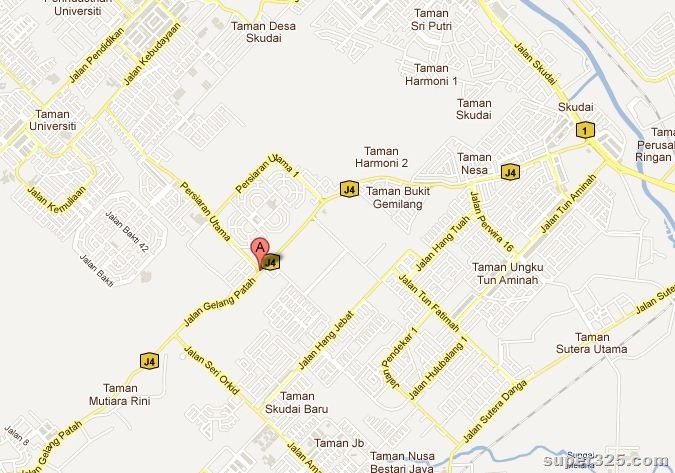 On our last post on “ MPJBT’s Initiative? 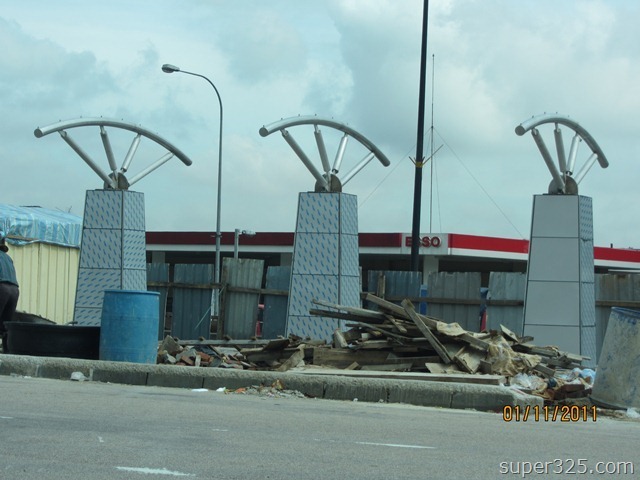 Building Up A New Bus Stop At Taman Tun Aminah. What About Others?!?” . 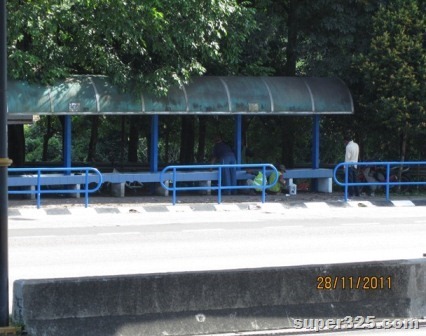 MPJBT has taken a step to improve their messy bus stop near ESSO station at Taman Ungku Tun Aminah (TUTA). Well done! 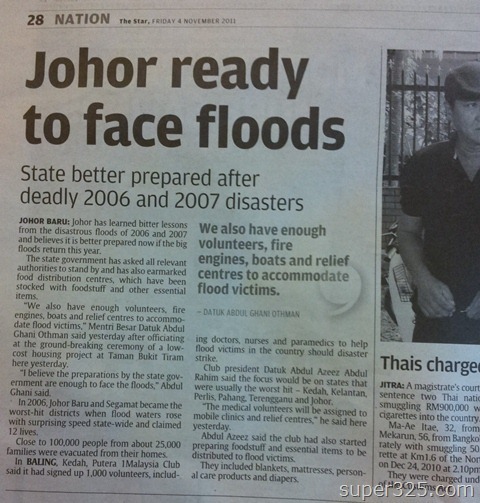 Johor is ready to FACE THE FLOOD! 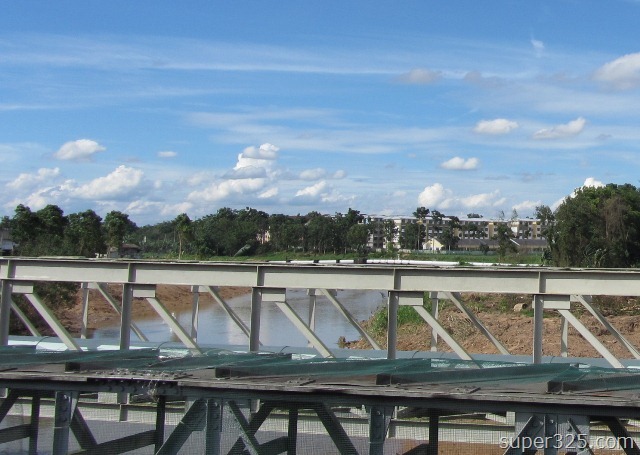 Observed that there are river widening works nearby Sungai Skudai and Sungai Tebrau, it’s to prevent flood during the recent raining season. 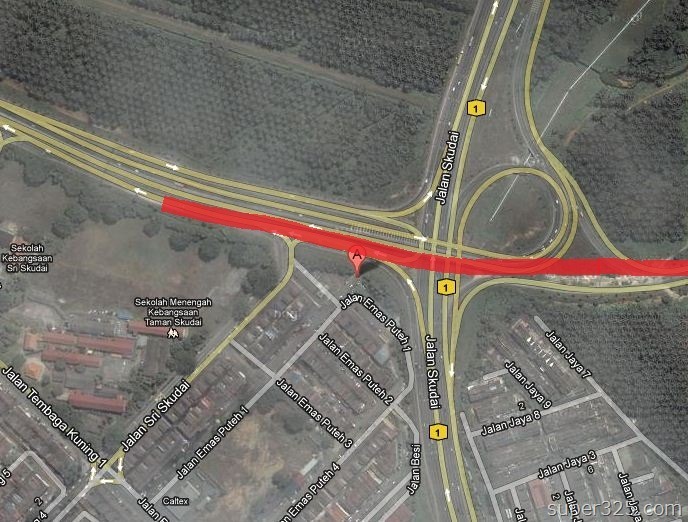 After long waiting, the Skudai (Impian Emas) to Pontian Interchange is finally resumes and expected to be ready in Oct’12. 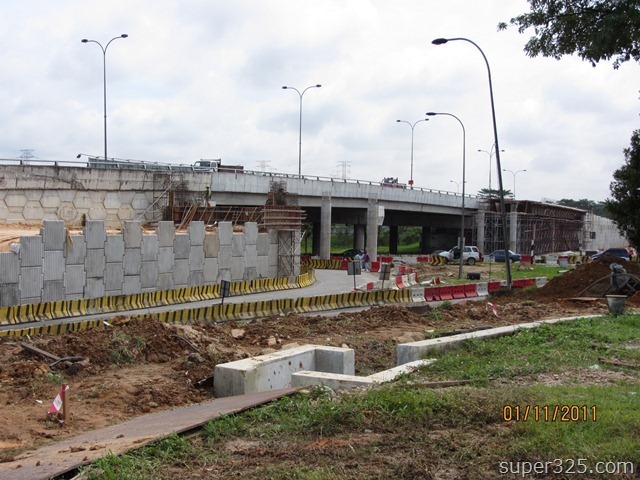 This upgrading work is to be benefited residents in Taman Impian Emas, which allow them to connect from Impian Emas to Taman University. 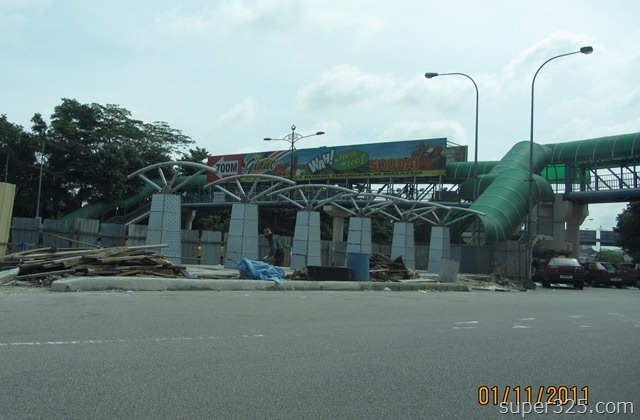 Most of of might already know, MPJBT is constructing a new bus stop near SK Kuo Kuong at Tama Tun Aminah Skudai. 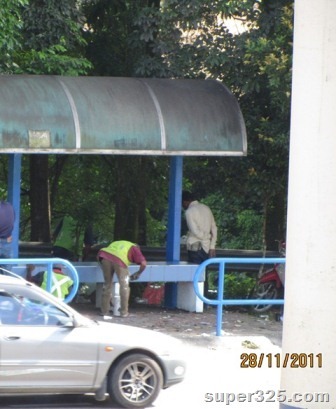 But what is the main point building up the new bus stop while others were leave with rubbish? 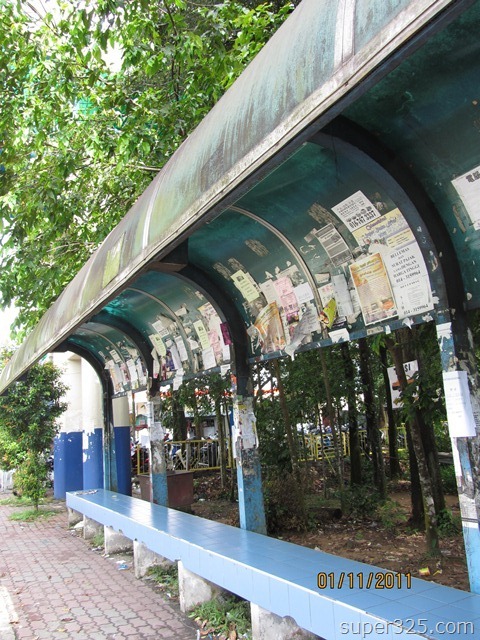 Photo: A bus stop next to ESSO Station opposite the currant on-construction bus stop. 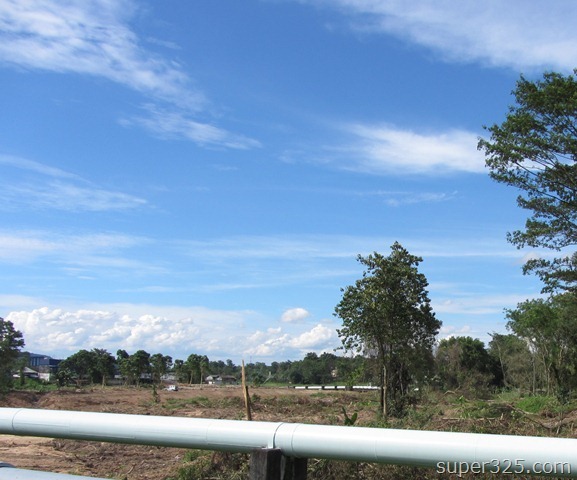 It is not easy to plan tree, it would takes a decade to grow it. 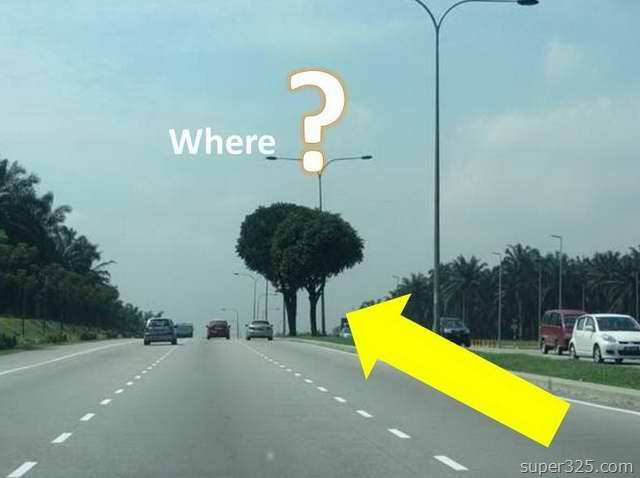 Did you ever think, where are the trees under the Iskandar Malaysia project goes to? Are they been cut and just throw away or sell it? 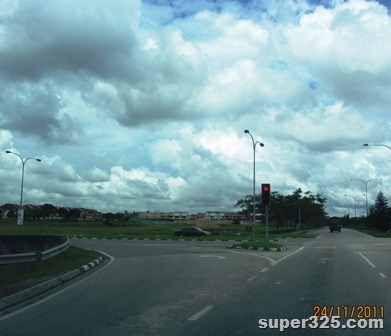 click continue reading for more information. 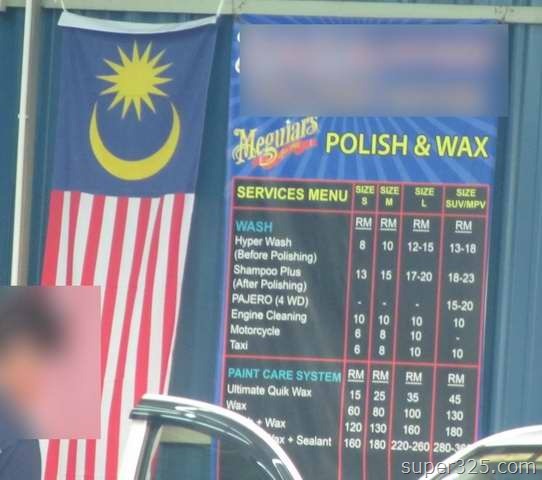 super325 found this car wash somewhere in Taman Tun Aminah Skudai. Based on their “Services Menu”, it’s very complicated to verify what is the Small (S) cars, Medium (M) cars and Large (L) cars… very confusing. 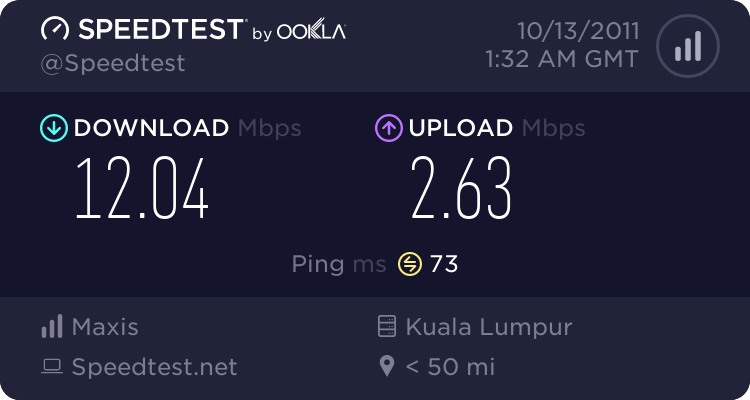 As my previous record, the highest 3G speed are at 7.2Mbps. 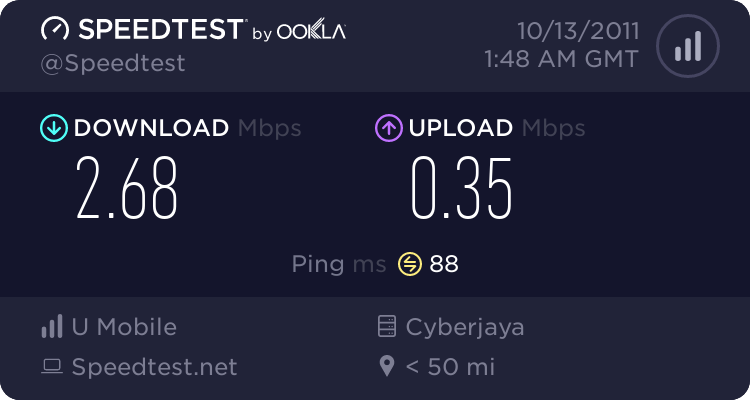 Surprisingly today, it’s reaches 12Mbps download and 2.63Mbps Upload. FAST!